We all know that Apple is restrictive and that’s why people turned to jailbreaking their iPhone’s. Sadly, we don’t have that option right now, but we can still play our console games on iOS devices. Where you would once need jailbreak to get a game emulator, now you can use HappyChick emulator without having to jailbreak. 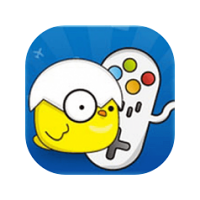 Playing console games has never been easier than it is with HappyChick. Supporting over The, like the Nintendo, PlayStation, PPSSP and many more, HappyChick is an in-depth, feature-packed emulator that works on most devices, including Android. It is recommended that you have at least 2GB RAM on your device; otherwise, some of the games won’t run very smoothly. To get the emulator app onto your iPhone or iPad, you must download an external app called Panda Helper. Aside from Happy Chick, Panda Helper has loads of other useful apps so here’s how to download it. First, download Filza IPA file from the link above. Now download Cydia Impactor on your Computer and install the IPA file on your iPhone or iPad. While most people can use Panda Installer without any trouble, some people have reported that it doesn’t work for them. This isn’t a problem because you can download Happy Chick from another iOS appstore like Panda Helper called Emus4U. Once downloaded, open it and download the app from there. Don’t miss out on your emulators just because you cant get Cydia anymore. HappyChick supports so many different consoles that you won’t need another emulator app. So, download it today for free and let us know how you get on with using it. You can get more updates by following us on Facebook.